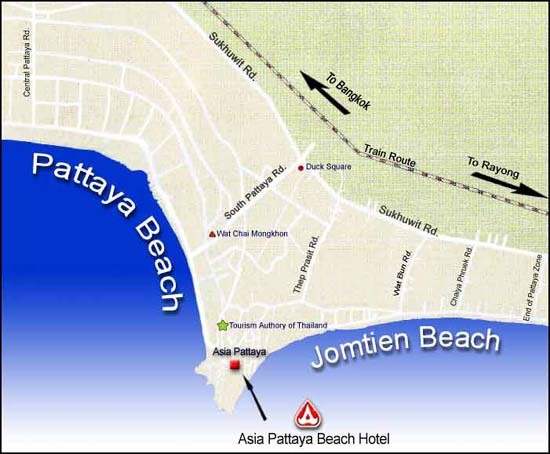 Asia Pattaya Hotel is located about 3 kilometers south of Pattaya overlooking the Gulf of Thailand. The hotel is perfect for those looking for a glorious vacation in their own private paradise. 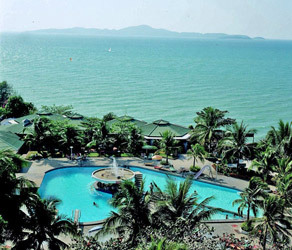 Pattaya's liveliness and non-stop action has earned it a reputation as one of the world's most exciting resorts, and the city is just a short drive away. 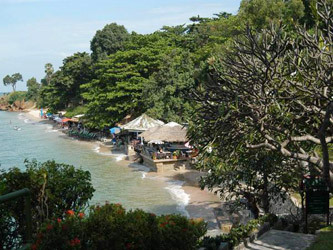 The hotel is set amidst 22 acres of exotic gardens and has its own long beach front. Other amenities include a pool, tennis courts, snooker room and a private 9-hole par 3 golf course. 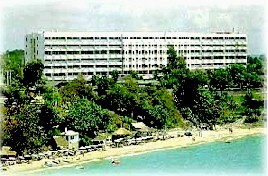 The hotel offers several restaurants and snack bars, a pool bar and dancing at the Neptune Discotheque. Golf Course: A private 9-hole golf course is situated within the hotel's premises, Golf-equipment can be rented. Open daily from 6.00 a.m. to 6.00 p.m.
Guestrooms command breathtaking view of the sea or the tropical wooded hills, restaurants, lounges and live entertainment. The rooms are furnished with private marble bathroom, direct dial telephone, individually controlled air conditioner, television, in-house video program, 4 channel music selectors, refrigerator, marble bathroom, and luxurious furnishings.